Work could begin next summer on 163-room hotel to open in 2009. A 22-story hotel and condominium tower could rise above the smokestacks at the former Seaholm Power Plant by 2009. The project is the first part of a multimillion-dollar plan to transform the Seaholm site into vibrant district with shops, offices, housing, entertainment and cultural attractions. Work could start start next summer, with the opening planned for spring 2009. Austin-based Centro Partners LLC will develop the 62 condominium units, with prices from about $350,000 to more than $1 million, said Kent Collins, a Centro partner. The city last year tapped a group led by Austin-based Southwest Strategies Group Inc. to redevelop the 7.8-acre Seaholm site, which will include preserving and reusing the power plant and its Art Deco-style facade. The plan includes converting the plant into 80,000 square feet of retail, restaurant, office and meeting and events space. Other elements include a two-story office building behind the plant and landscaped plazas. John Rosato, a Southwest Strategies principal, said more announcements are expected in the next two to three months, as well as architectural drawings of the project that is expected to be 400,000 square feet and cost more than $100 million. The Seaholm Plaza is one of eight hotels planned for downtown, three of which will include condominiums. The others are a W hotel that is part of the Stratus project and the Hotel Van Zandt, planned for a site at Red River and Rainey Streets. Alan Holt, sales director for the 5 Fifty Five condos in the Hilton Austin, said hotels and condos complement each other. "Residents love being able to order room service, to go down to the coffee shop or bar without ever leaving the building," Holt said. "And the hotel benefits from having stable residents in the building." The Marriott International hotel chain is part of the biggest downtown hotel project, a Congress Avenue complex that will include a 650-room convention hotel and two smaller hotels. J. Willard Marriott, chairman and CEO of the company, was in Austin on Thursday for the official grand opening of a Residence Inn and Courtyard by Marriott near the Austin Convention Center. "This city continues to attract a lot of business," Marriott said. "The University of Texas is a huge generator of business, the convention center is very attractive and has a lot of space and there is a lot of activity downtown, which we think is very important. You've got a lot of offer." At the former Seaholm Power Plant, a mixed-use project is planned that would include a 180-room hotel. Jeff Trigger and his La Corsha Hospitality Group will oversee the construction, management and operations of the hotel, but work may not start until next year, Trigger said. “Currently, neither we nor the debt financing market are ready to begin construction of the high-rise building where the hotel, office and residential uses will be housed. We hope next year when we are ready, the financing will be as well,” said Trigger, former managing director of the Driskill Hotel. 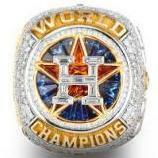 Here's a better rendering, and they have a website. 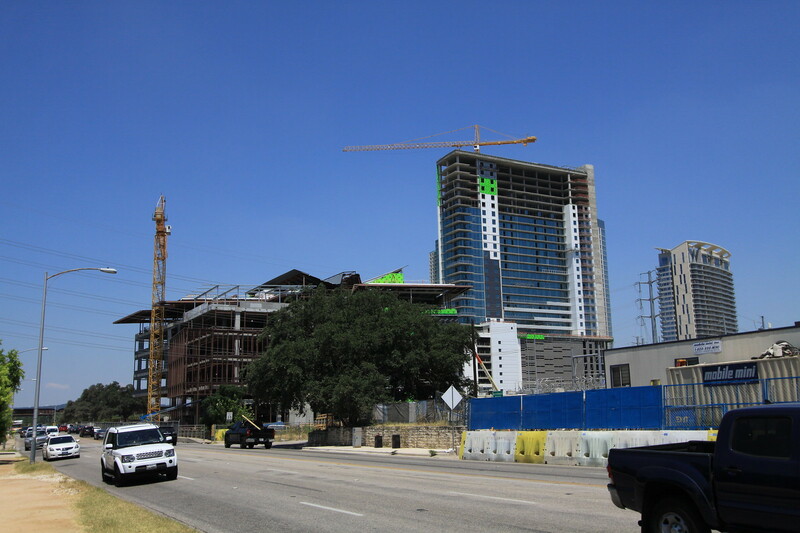 AUSTIN (KXAN) - The $2 billion Seaholm District redevelopment project in well under way. The next step, starting as early as next year, will be the redevelopment of the Seaholm Power Plant into residential and office space, and the groundbreaking of the new Central Library . Everything from a boutique hotel, to mid-rise residential along the creek and Lady Bird Lake with potentially a senior living tower. More residential here along the Lady Bird Lake face and behind that hotel and condos potentially,"
Groundbreaking is expected to begin next year for the new Central Library and the space within and outside of the Seaholm Power Plant. The Greenwater redevelopment project is still in the planning phase, but should break ground sometime in 2012. It's expected that all projects could be completed by 2015.
very very cool... love all the projects going up in austin, although traffic there is brutal. Plans for two massive mixed-use projects and a bigger main public library are getting firmer and smaller it seems, providing more clarity to a string of projects that promise to reinvent the southwest corner of downtown Austin. It’s been several years coming, but redevelopment work is set to begin on Austin’s former Seaholm Power Plant site, with plans calling for a $100 million mixed-use project that will reinvigorate the area and add millions to the city’s tax base over coming decades. The project on downtown’s western edge will include a 30-story tower with 309 apartments, a two-story building with a Trader Joe’s store, plus other retail, office and restaurant space. This week, the city of Austin and the development team it chose for the project eight years ago are expected to sign the document that outlines terms of the public-private venture — a move that will trigger the official launch of construction. The agreement spells out terms of the developer’s 99-year lease of the decommissioned power plant, and the purchase of two surrounding lots where the apartment tower and low-rise buildings are planned. John Rosato, a principal with Austin-based Southwest Strategies Group, the lead developer on the project, said the imminent groundbreaking is a momentous occasion. Rosato’s firm was part of a team selected by the city in April 2005 to bring to life a new vision for the vacant waterfront site and its landmark turbine building. In addition to Southwest Strategies Group, the team includes Austin-based Centro Development and La Corsha Hospitality Group, led by Jeff Trigger, the former general manager of downtown Austin’s Driskill hotel. The five-acre site is bounded by West Cesar Chavez Street, West Avenue, Third Street and the future Seaholm Drive. The project’s start was delayed several times due in part to the complex negotiations with the city and the economic downturn. CIM Group, a Los Angeles based real estate investment and development firm, is an equity partner in the project, as is Rosato’s firm. The city is making a $13.6 million investment in street extensions and improvements, a public plaza and the main Seaholm building, said Fred Evins, the city’s project manager for the Seaholm redevelopment. The city will capture property and sales tax generated from Seaholm’s redevelopment to pay off the debt for its share of the investment. In addition, the city will pay $9.9 million for 315 parking spaces the city will own, out of the total 538 spaces planned. That debt will be retired from revenue generated from the parking over 30 years Evins said. Rosato said that when construction commences, the general contractor will begin work on the power plant renovation and a parking garage. After that, the apartment tower will begin rising, and construction will start on the 66,000-square foot low-rise building that will have office space and a Trader Joe’s store slated to open in early 2015. The first apartments should be ready for tenants by early 2015, Rosato said. The tower will include 8,000 square feet of retail and restaurant space. Building u/c on the left, nearly complete.